Send your kids off to school with a healthy lunch in personalized style! 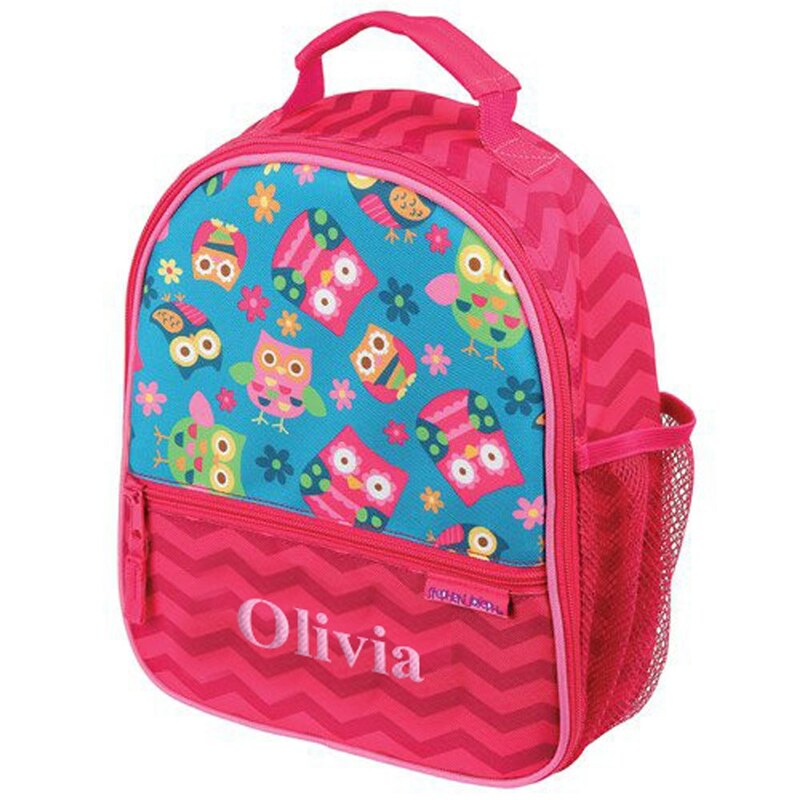 Our Personalized Owl Lunch Bag is custom embroidered with any name in your choice of 15 thread colors. Pair this lunch box with our coordinating Backpack and Water Bottle - sold separately. Grandchild enjoys carrying this tote into day school every morning, just like the big kids. Is large enough to hold lunch and treasures and will be perfect as they grow.